Is journalism under threat? Censorship, political pressure, intimidation, job insecurity and attacks on the protection of journalists’ sources--how can these threats be tackled? Journalism at Risk is a new book from the Council of Europe, in which ten experts from different backgrounds examine the role of journalism in democratic societies. How can these threats be tackled? What is the role of the Council of Europe, the European Court of Human Rights and national governments in protecting journalists and freedom of expression? In this book, 10 experts from different backgrounds analyse the situation from various angles. At a time when high-quality, independent journalism is more necessary than ever--and yet when the profession is facing many different challenges--they explore the issues surrounding the role of journalism in democratic societies. 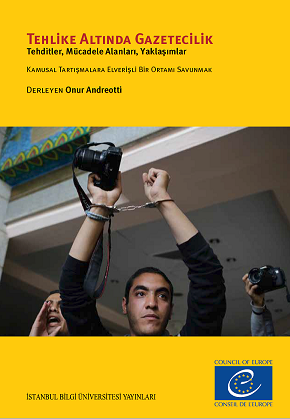 This publication is the Turkish translation of the book entitled "Journalims at Risk: Threats, Challenges and Perspectives" published by Council of Europe in 2015. For further information on the original book please click.